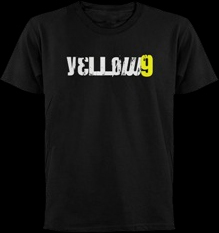 Yellow 9 is a five-piece rock band from Hartford, Connecticut. They are known for their hard edged original music and energetic live shows. Together since 1998 the band continues to break new ground with their unique sound. 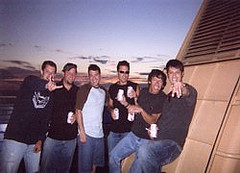 Yellow 9 released their first CD entitled “Previously Unreleased” in 2001. Their second release “Dead Man’s Cigarettes” has been released to rave reviews in 2012. Dead Man’s Cigarettes was recorded and engineered by Jon Jenkins at Jungle Tone Studios in Bristol, CT. Jon is best known for his amazing approach to recording, mixing, and production, and for his musical chops in the band Naughty Jungle of Love. Previously Released was recorded and engineered by Myles Mangino at the Planet of Sound Recording Studio in Hartford, CT. Myles is best known for his live sound work with The Pixies and U2 on the Zoo TV Tour. Yellow 9 plays shows all over New England, has been featured on Radio 104.1 FM WMRQ in Hartford, CT, 99.1 WPLR in New Haven, CT, and on Trinity College Radio, 89.3 FM WRTC.